Nigerian pop superstar David Adeleke turns a year older today and Idowest goes the extra mile to wish his boss a happy birthday. Idowest was earlier rumoured to have fallen out of favour with Davido and subsequently exited the label, a story which was untrue. As gesture demand the street rapper took to Instagram to give a birthday shout out to Davido as he turned 26. In his message the ‘Ji Masun’ crooner called OBO the ‘Jesus of our time’. A phrase which ire the nerves of a follower. 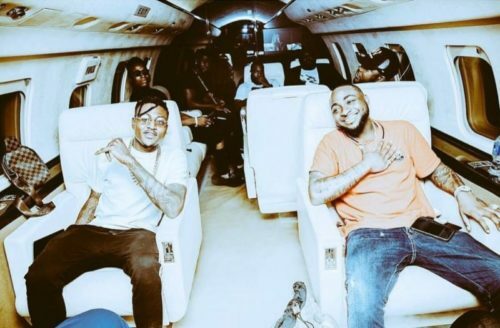 He was slammed for referring to Davido in any remote meaning. Idowest sought to explain things.